The minimalist Georg series by was designed by Christina Liljenberg Halstrøm. 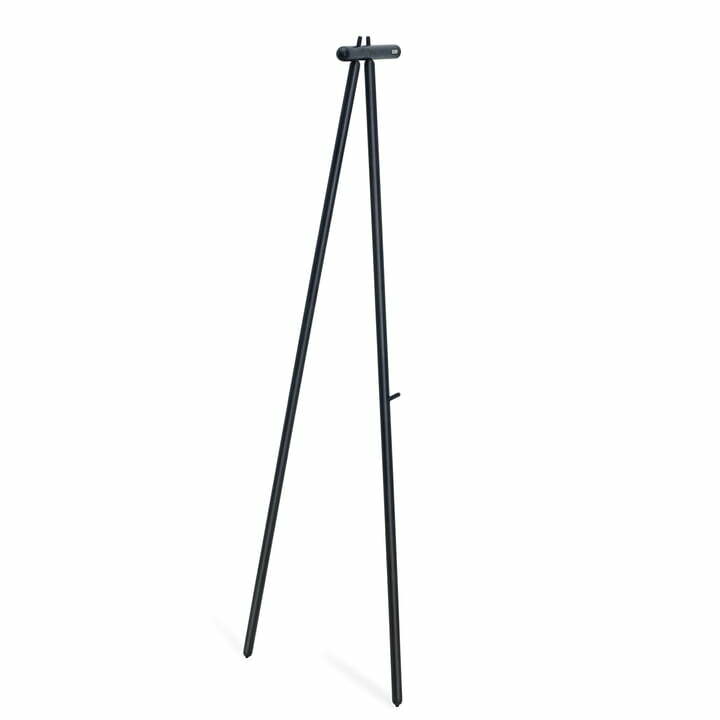 The tricky position of both legs is the reason why the Georg lean-on clothes rack can be leaned against the wall without any problems. 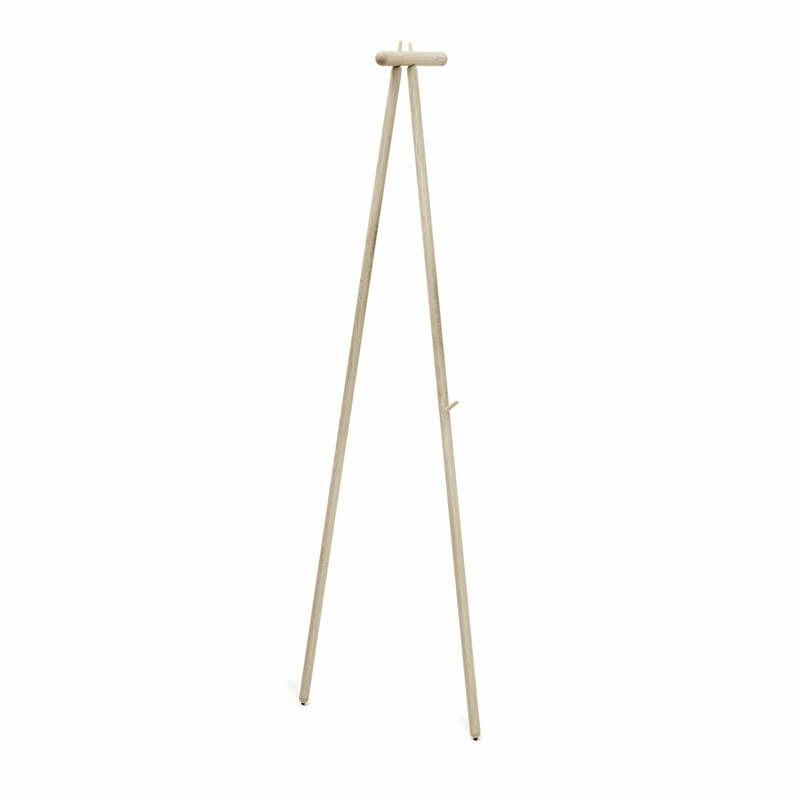 The high class oak wood made hall stand offers extra hooks for bags or scarves without any drilling holes and screws. 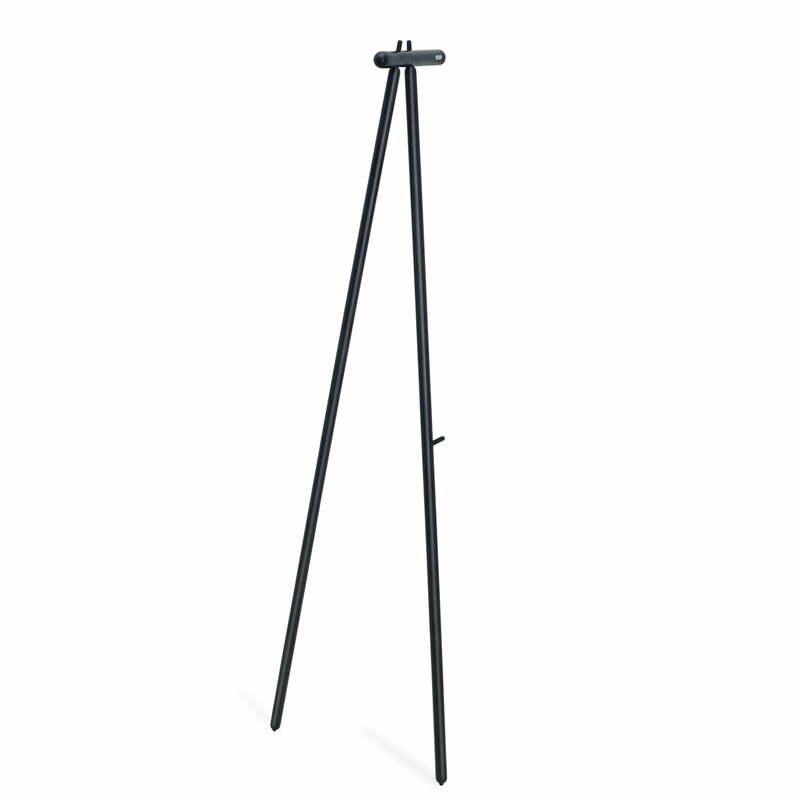 The coat rack remains resistant at the wall without the need of additional mounting screws. This is how the lean-on clothes rack can be moved from one place to another without any problems if necessary, being leaned-on wherever it might be needed. 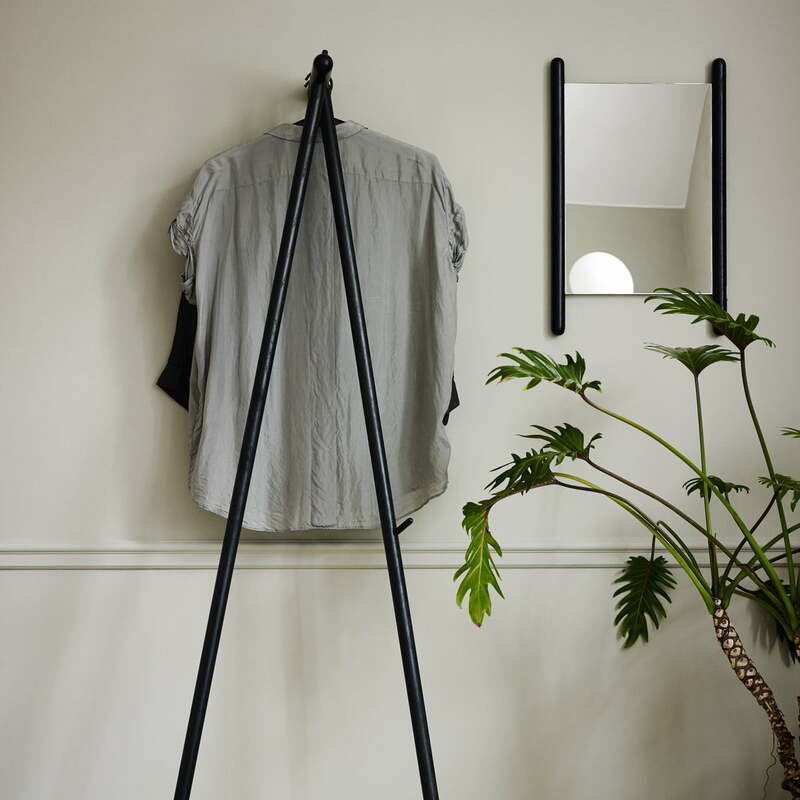 The Georg lean-on coat stand by Skagerak is ideally suitable to be used in the hallway for jackets and coats of guests or as additional hook for your favorite clothes in the bedroom together with the Georg Hangers or the Georg Hangers with leather. The clothes stand looks harmonic together with the other furniture pieces of the Georg series by Skagerak thanks to the natural and reduced design, which perfectly fits in the different interiors. Single image of the Georg lean wardrobe by Skagerak made of oak wood. The lean furniture is flexible and mobile. The reduced design of the Georg Series completely unfolds with this furniture. The Georg lean wardrobe and the Georg table mirror by Skagerak are a great team in the entrance. The bright oak wood encourages the friendly atmosphere. 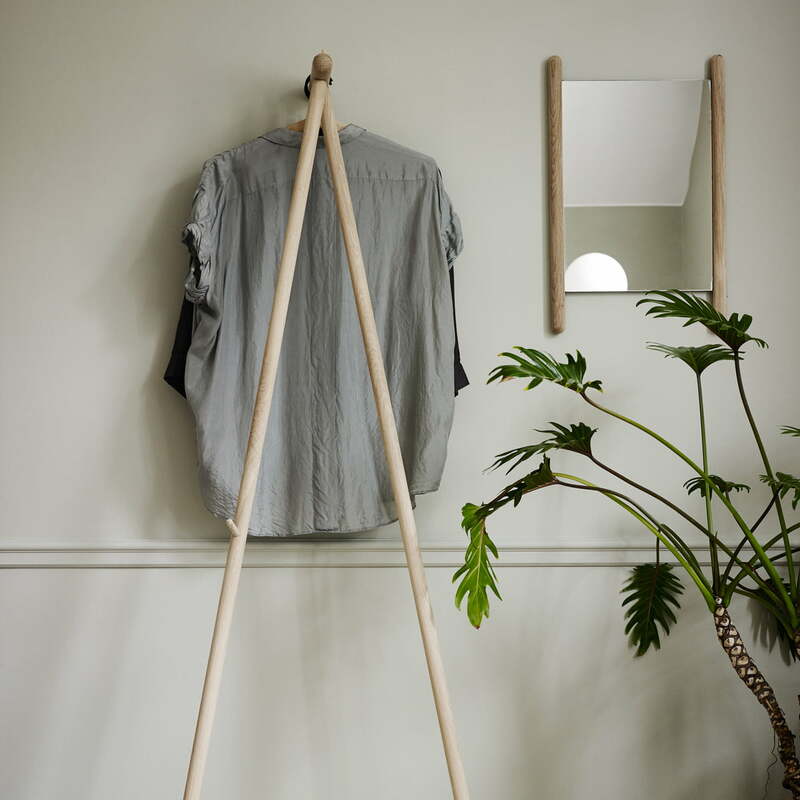 The Georg lean wardrobe and the Georg table mirror by Skagerak look gorgeous together. The oak wood painted in noble black is wonderfully suitable to be combined with all types of furnishing styles.